Probably the only thing cooler than actually building a portable gaming system is when you show off your creation playing somebody elses, and then having them be very excited to see it in action! 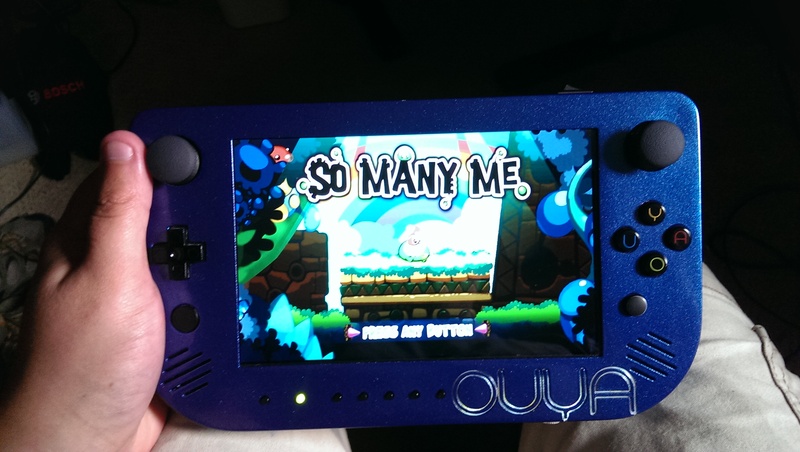 Such is what happened when I took a picture of Extend Interactive’s new game “So Many Me” on my portable OUYA and released it on Twitter! It’s very flattering to see such a positive response to this project and is constantly inspiring me to strive to make something better. As for the game developers of So Many Me, they liked it so much they then wanted to see if I could do a short video of the game in action. So I kinda just threw this together quickly as I’m no game reviewer or anything of that nature, but they made a great game and I’m still having a great time with it and love helping those who create further their reach in anyway way possible! Again, great work guys and I deeply appreciate the positive response this has gotten!